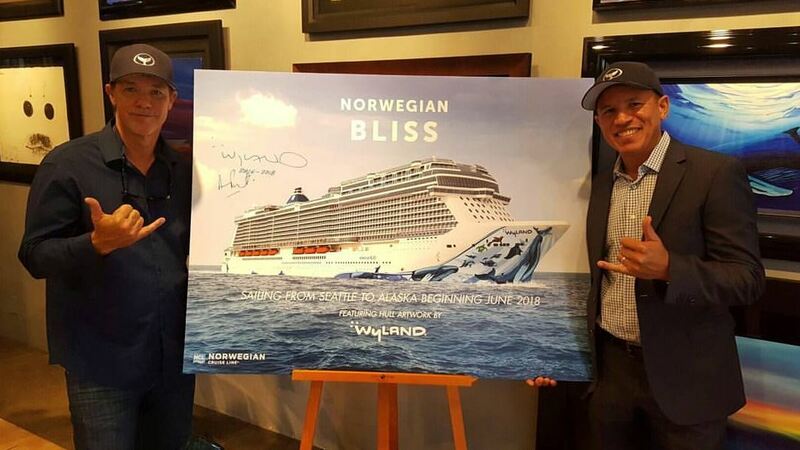 Earlier today in his gallery in Fort Lauderdale’s vibrant Las Olas district, marine artist Wyland, together with Norwegian Cruise Line’s Andy Stuart, revealed his design for Norwegian Bliss‘ hull art. The design, which Wyland calls “Cruising with the Whales“, depicts a humpback whale and her calf as they breach water. Also featured are other sea animals like sea lions, porpoises, turtles and sea birds. With his design Wyland is following in the footsteps of Peter Max (Norwegian Breakaway), David “Lebo” Le Batard (Norwegian Getaway) and Guy Harvey (Norwegian Escape), artists who have designed artwork for Norwegian Cruise Line vessels. 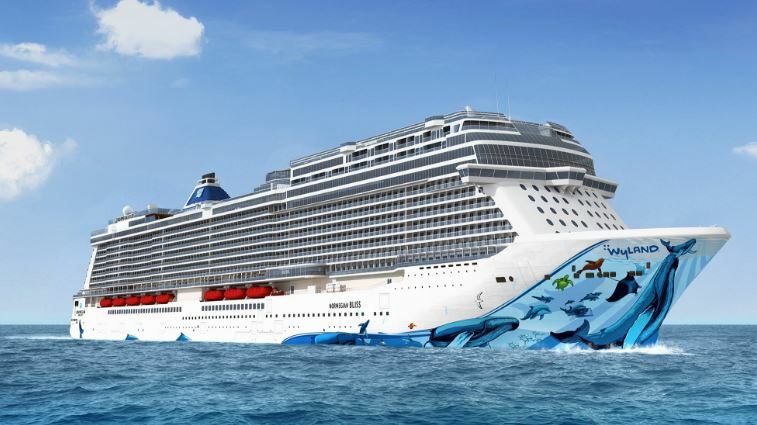 Starting june 2018 Norwegian Bliss, the first cruise ship custom-built with features and amenities for the ultimate Alaska cruise experience, will cruise to America’s Last Frontier from Seattle. She will sail weekly seven-day Alaska cruises. The ship’s itinerary will feature calls in Ketchikan, Juneau, Skagway and Victoria, British Columbia, along with scenic glacier cruising. Cruises onboard Norwegian Bliss go on sale starting January 2017.